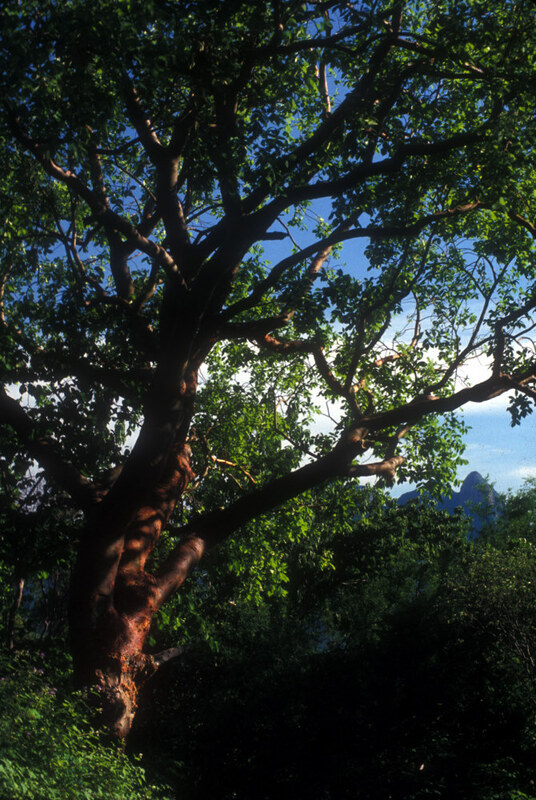 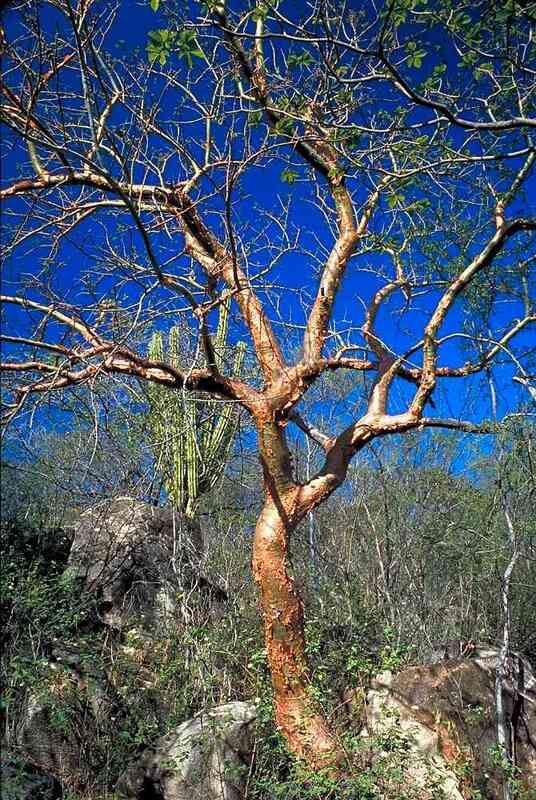 Palo mulato thrives in tropical deciduous forest, growing up to 30 feet (9 m) tall. 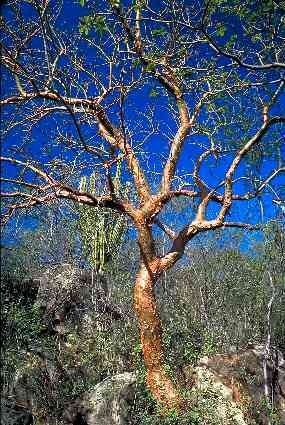 It is less commonly found in thornscrub where it is a smaller tree. 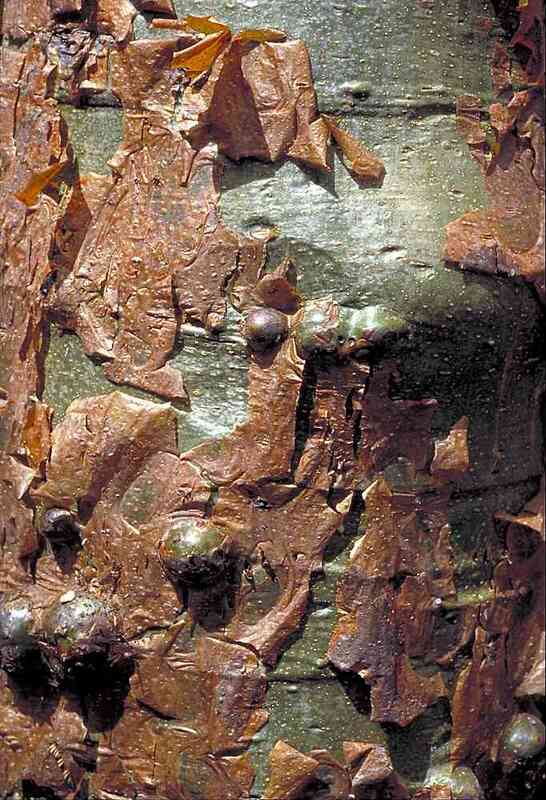 It has deep, steel blue-gray to green bark with rusty papery peelings. 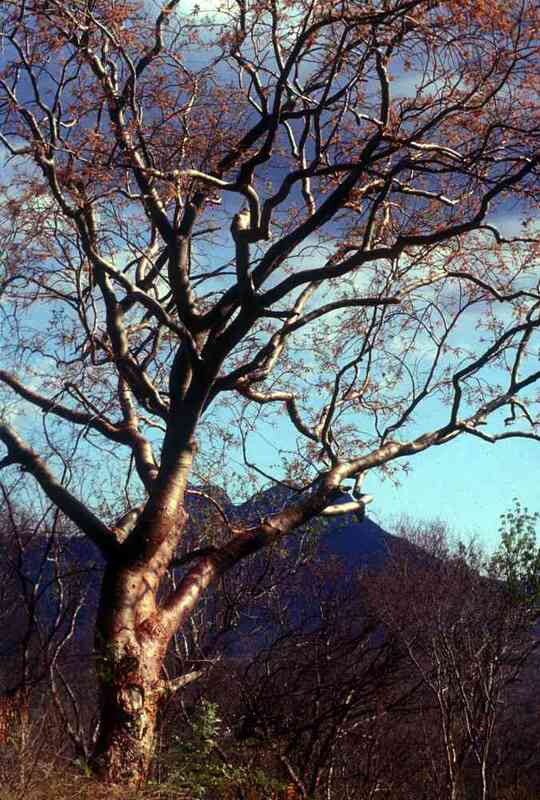 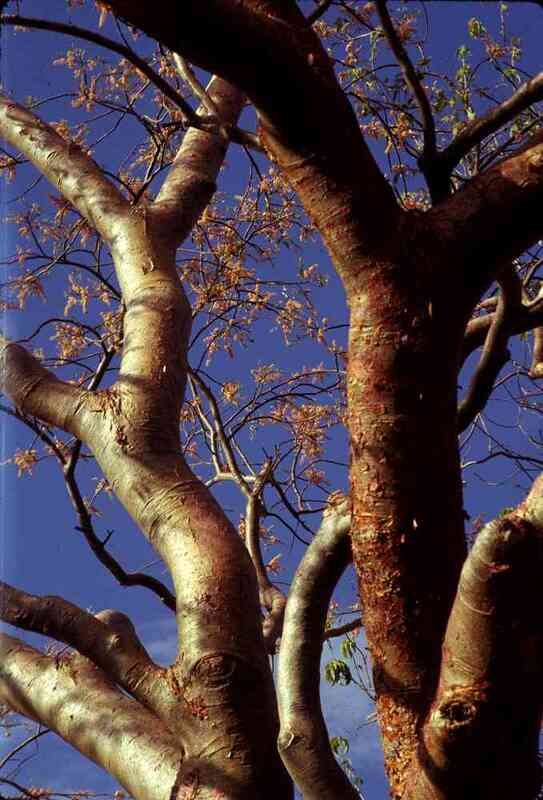 Above its solid trunk a mature tree spreads irregular branches�a voluptuous and attractive form. 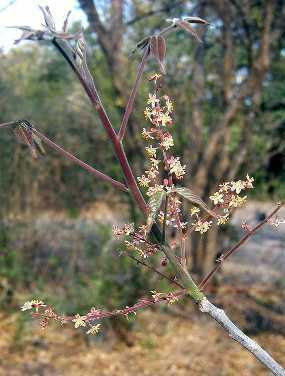 Masses of pink flowers appear early in the rainy season before the trees leaf out; this is our only Bursera with conspicuous flowers. 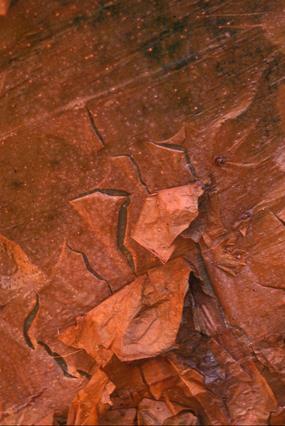 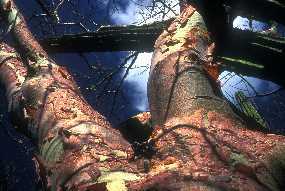 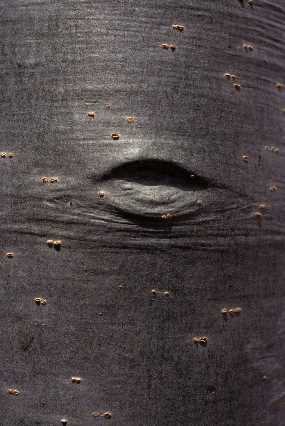 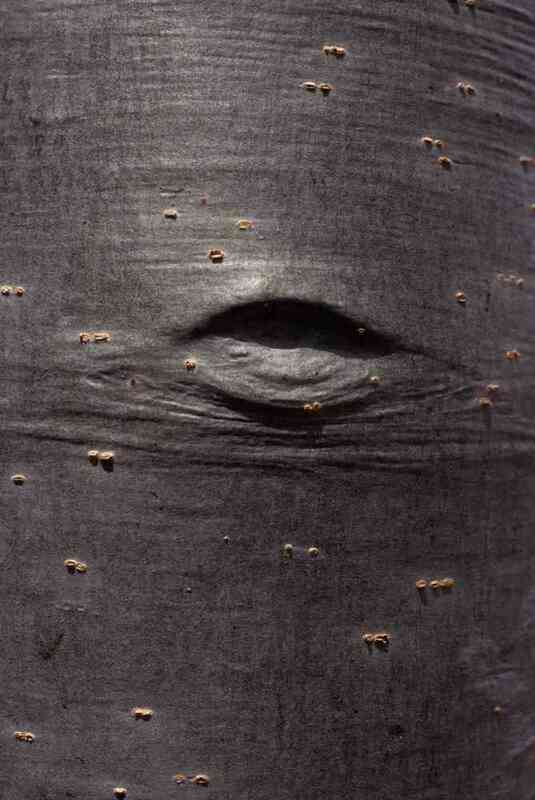 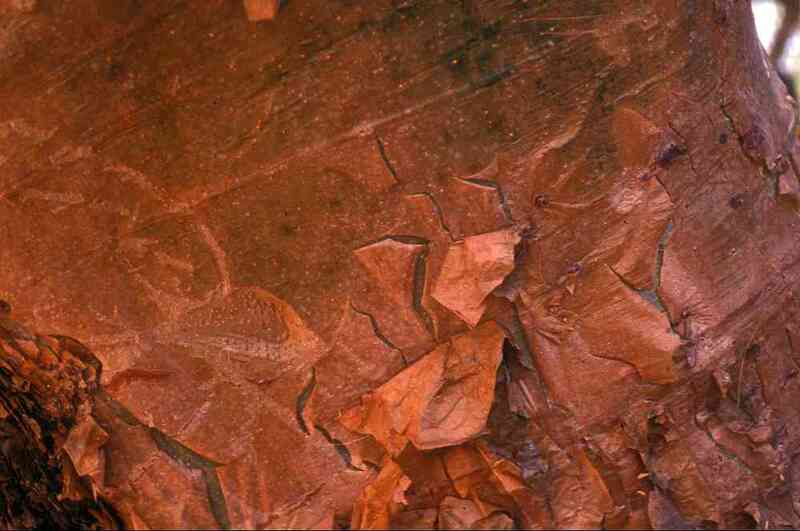 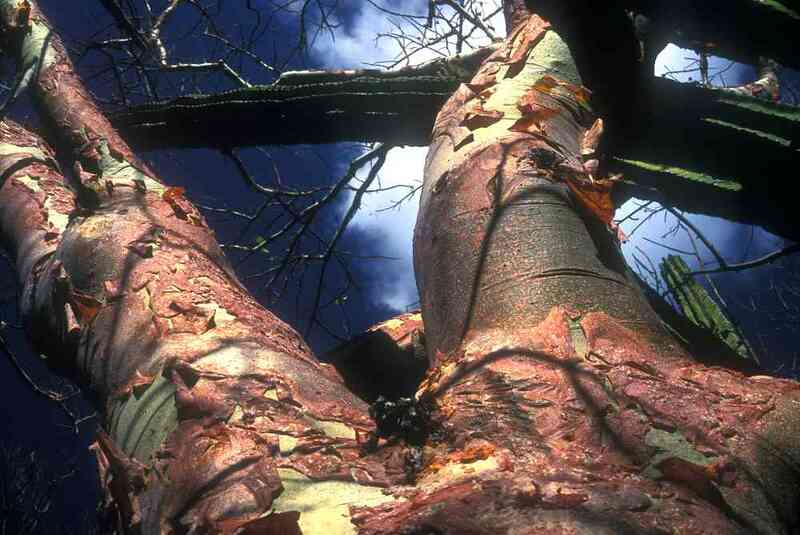 Trunks are often scarred because residents use the bark for food (tea) and medicine.